Ladies Patterned Pure Cotton Skirt in navy and white polka dot. "Very good, as expected. " 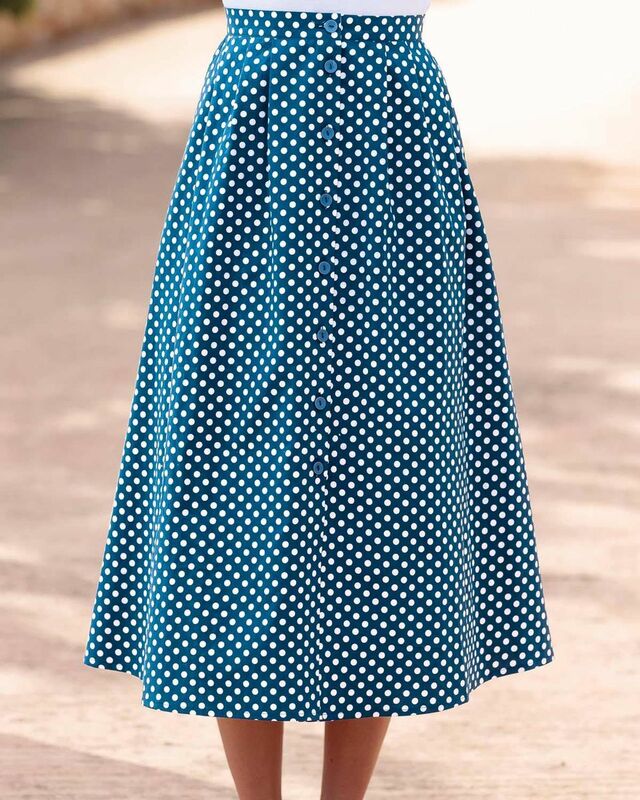 Ladies button through style skirt cut from pure cotton in versatile navy and white polka dot. Soft front pleats, side pockets and full back waist elastication for comfort. Lightweight and versatile. Coordinate with any of our collection of blouses and knitwear to achieve a classic look.